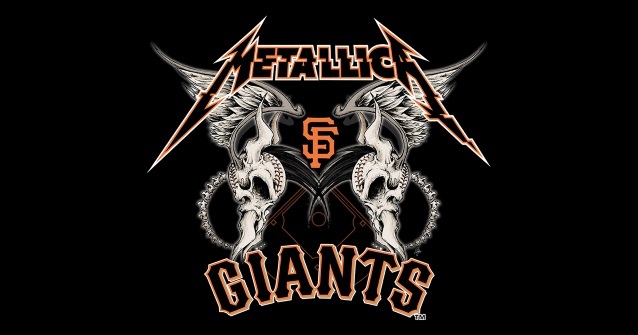 METALLICA and the San Francisco Giants will hold the sixth annual "Metallica Night" on April 23 at AT&T Park in San Francisco as the Giants take the field against the Washington Nationals. Special-event tickets, as well as VIP-event tickets, are available for Fifth Member pre-sale starting Tuesday, February 6 at 10 a.m., with tickets going on sale to the general public on February 10 at 8 a.m. A portion of the proceeds from every "Metallica Night" ticket sold will benefit the band's own All Within My Hands Foundation. At the ffith "Metallica Night", which was held last August, METALLICA once again threw out the first pitch and James Hetfield and Kirk Hammett performed a version of "The Star-Spangled Banner". Hammett also played an instrumental solo rendition of "Take Me Out To The Ballgame". Both were playing customized San Francisco Giants guitars. Hetfield later came out on the field with the Giants' ground crew and played air guitar on one of the large dirt rakes. "Five already? 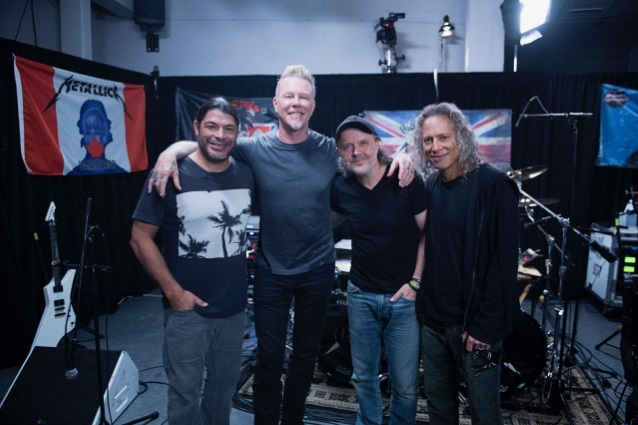 It's been going pretty quick," Hetfield told Bay Area HQ about the event. 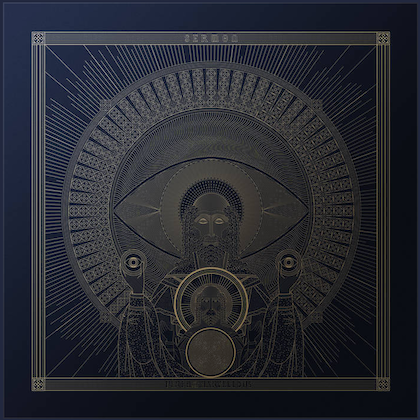 "Well, we're blessed to be doing this every year and being a part of the vibe here. You know, when times are good, when times are bad, they need the support." "It's great. It's a lot of fun," added Hammett. "It's a good opportunity for us to interact with our home team, hometown, and interact with the people of the Bay Area in San Francisco. And for me, it's a lot of fun to be able to play the national anthem." A video recap of last year's "Metallica Night" can be seen below. Hammett told ESPN.com that he feels the version of the national anthem he and Hetfield play is "really unique and different," and it's great that they can play it for their home team and hometown audience.